On my recent trip to Portugal I came across a Make-up store that had the look of a Mac and Inglot store but their make up was a fraction of the price. This amazing store is called Kiko Cosmetics. The store is a bit overwhelming when you first walk in as they have every colour under the sun in nail varnishes, eyeshadows and lipsticks. As I wasn't familiar with the brand I decided to do a bit of online to research before I splashed out. Well, low and behold nearly all the reviews I read were positive so I decided I had to pop back and pick up a few items. The first items I gravitated towards in the store were the lipgloss. I ended up picking up the Kiko Extra Volume Lipgloss in the colour baby pink for €6.90. 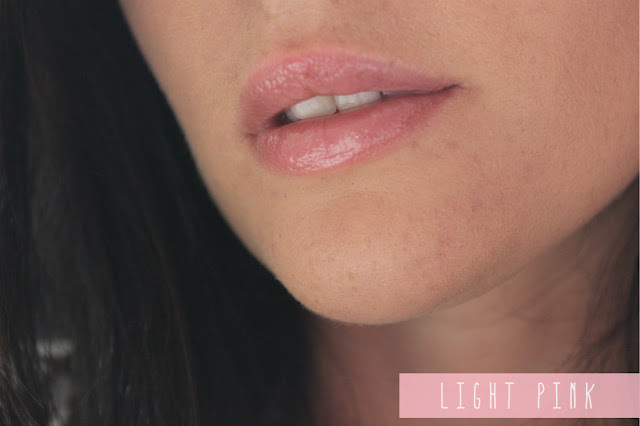 This is actually one of their more pricy lip glosses but I had read reviews that said theses were well worth trying. It is a beautiful lip gloss however it isn't very pigmented but I think that is due to my choice of colour rather than the product itself. The finish is lovely and soft and feels very moisturising. It has a very slightly tacky finish that I know some of you hate but it does ensure its staying power. Now to the extra volume claim, I feel its a load of rubbish. 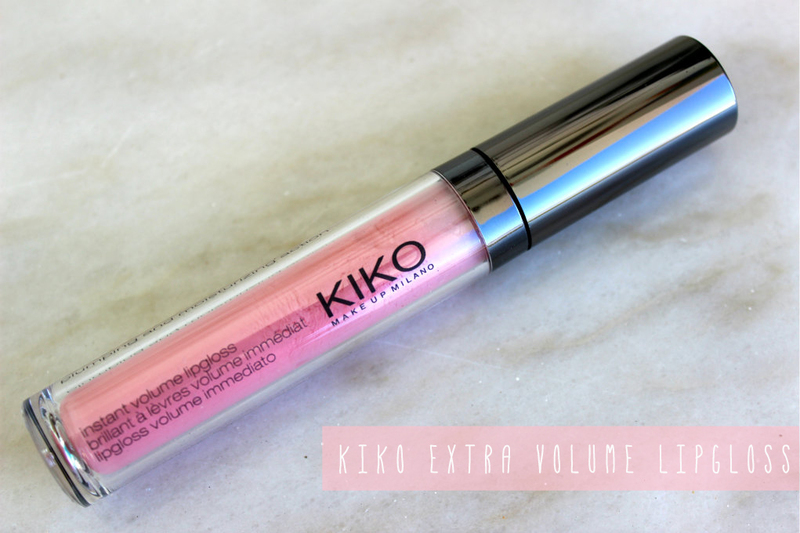 I think the only volume you get is from the glossy finish makes your lips appear healthy and plump. It doesn't have any tingly effect of the lips even tho it claims to have many active ingredients but I am ok with this as it is a gorgeous product. I think it is quite comparable to Mac's Cremesheen glass which I am a huge fan of. Kiko is far better value than Mac's cremesheen as Kiko offers you 6.5mls for €6.90 where as Mac only offers you 2.5ml for approx €19.00. Out of all the products I picked up (more reviews to come) this is one of my favourites and I do wish I had picked up more colours. Kiko have an online store but unfortunately they only ship to a few countries and Ireland is not one of them. Hopefully in the future they will. My english girlies are in luck as they do ship to the UK. 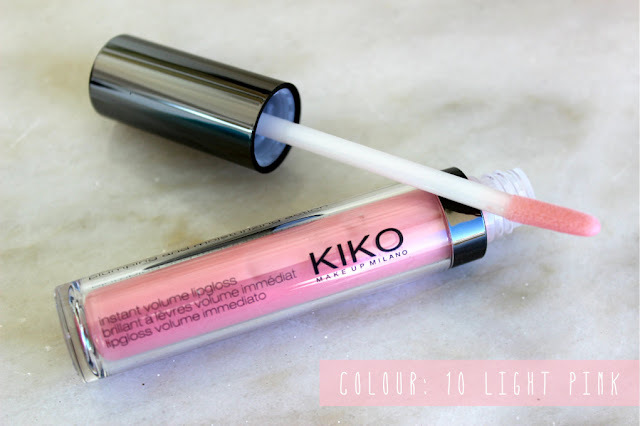 Have you tried any Kiko products? What was your impressions of the brand? Oooh this is super pretty! I love the packaging too. Since starting work and not being able to wear bold lippies i've been reaching for lipglosses more and more, this is definitely going on my wishlist!